ABEX Affiliated Brokers Exchange Inc. Effective April 1, we have moved to 139 Northfield Dr. W., Suite 206, Waterloo, ON N2L 5A6. 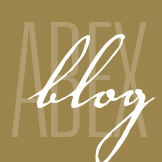 ABEX is an insurance wholesaler (MGA) providing niche products and insurance solutions to brokers across Canada. ABEX provides brokers with capacity and specialty facilities to create out of the box solutions for standard and misunderstood risks.